Identify your business/personal requirement for Mobile Application Development. Mobile application development refers to that process of developing application software for the handheld devices, for example, mobile phones. There are different application software developers in the world. The customer has to pick depending on the quality they require. 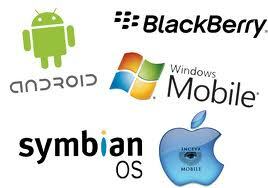 The various mobile app developments include the iphone Application Development, Android Application Development, e.t.c. An individual has to identify the requirement of mobile application development before they can pick a developer to carryout the activity. There exists an array of requirements for mobile apps development. One, for example, may want a management and content delivery system to enable them to; have digital content for use in Java, XHTML, WML and BREW mobile devices, to have their business mangers who are not technical to mange the data easily or even to have data localized or internationalize. This information will be most important for the mobile application development, since, it guides the developers on what to do. The different platforms for mobile apps development have integrated environment. This enables that the developers set up the application software to applications into the target platform environment. An individual to pick on a platform found in the different mobile app development companies. Criterion for choosing on the platform by an individual will depend on the target mobile platform, infrastructure and the development skills. The different development environments will contain on; programming language, debuggers, emulator, integrated development environment cross-platform deployment, installer packing option and development tool cost. The various mobile app developments will be different depending on the application to be developed. iphone application, for example, will be different from the android or blackberry. The best platform for mobile app development will be that which does not only consider the present time but also the future. Questions to ask and technicalities to confirm, while considering a company. There are various questions before picking on a company, to carry out the application development. There are also technicalities to confirm. One got to understand that a good degree does not imply quality programming. One to have a question on the quality of programming, to ensure they get the best mobile apps development. There is also the case of sloppy programmers. Some may programme something that does not have consistent codes not considering future development. One needs to check to ensure that they have the right professionals. There is also need to consider questions concerning on health matters, the interest of the developers in their work and their achievements in the past. One has to confirm well on the technical issues also to ensure that the company can give the best, for example, on how well they have developed some applications in the past. In conclusion, mobile application development needs to be in a manner that ensures on quality and future desires by an individual. The development varies depending on the different app developments. An example could be the iPhone application, which will have a very different development from that of the android application. The quality of any development lays on the customer, as they are the ones to pick on the different companies and give on the specifications.